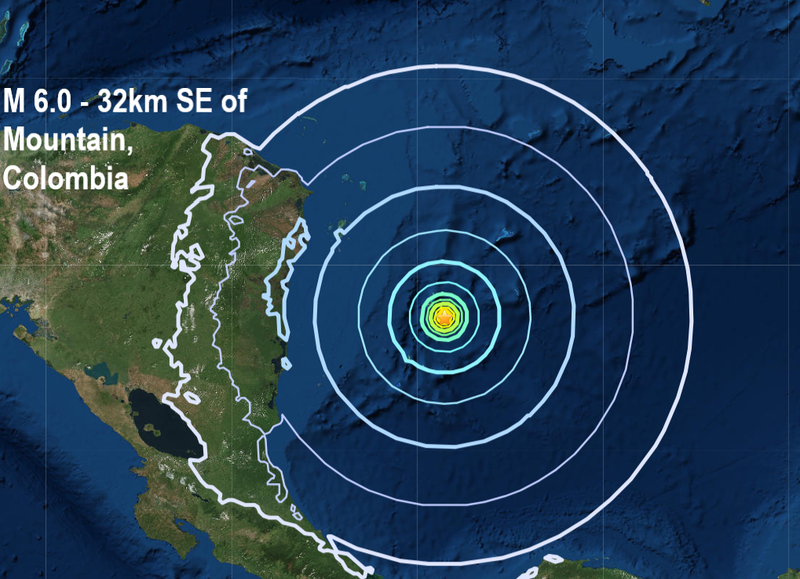 An earthquake measuring 6.1 magnitude struck off the Colombian coast on Saturday, and while there was no major tsunami threat, there was a possibility of tsunamis along the nearby coast, the European earthquake monitoring agency EMSC and the Pacific Tsunami Warning Center said. The quake epicentre was 36 km (22 miles) southeast of Mountain, Colombia, and at a depth of 10 km (six miles). Last night's quake was the 11th major quake of November and the 117th of 2018.